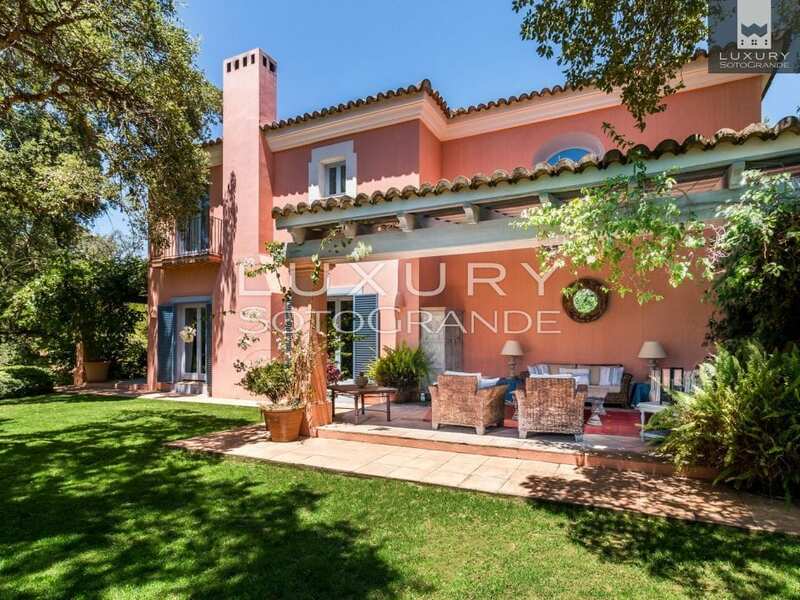 LOS ALTOS de VALDERRAMA A beautifully presented villa, located on a prestigious development. 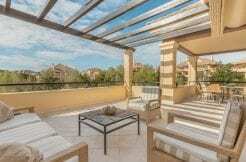 The property offers the perfect combination of privacy with the benefits of a secure gated community within Sotogrande Alto. Ideally situated at the end of a quiet cul-de-sac and bordering a green zone, the villa has been carefully designed in a traditional Andalucian style surrounding a wonderful central courtyard. Double garage – central heating – Air conditioning. The property beautifully complements the naturally landscaped plot and gives the perception of being in a rural environment, whilst actually being only minutes from a variety of local amenities including the International School, world renowned golf courses and a hotel with internationally recognized Spa facilities. The property is accessed from the road via automated gates onto a wonderful cobbled, landscaped driveway, leading to the main entrance and double garage. The antique front door leads into a cooling reception area that filters past a wonderful open central courtyard with water feature. The ground floor comprises of a spacious living room with open fireplace, open plan kitchen with feature oven and dining area, (all of which lead to a peaceful covered terrace and gardens), pantry and utility area, double guest bedroom suite and guest cloakroom. The upper floor offers a master bedroom with modern en-suite, two further double bedrooms with a modern shared bathroom. The outside area is a wonderful blend of naturally landscaped, mature cork oak trees and plants which are a special feature of this property and fits perfectly into the surrounding natural green zone, all of which can be enjoyed from spacious covered terraced areas. There is ample space to provide a stunning, private swimming pool, for which plans have been drawn and are available on request. Other points include – Double garage and machine room, central heating in the whole house; under-floor heating in the bathrooms upstairs; Air conditioning in all upper floor bedrooms, home office (optional spare bedroom, all up-stairs bedrooms provide spacious walk-in wardrobes, additional general cupboard/wardrobe space upstairs. Sold partially furnished.